My first experience with Reiki was through my dad, who had been referred by my uncle to a practitioner, during a very stressful time in his life. The emotional release that he felt during the session was something that both fascinated and amazed him. Fast forward many years later and I graduated from esthetics school and had become a licensed Esthetician. 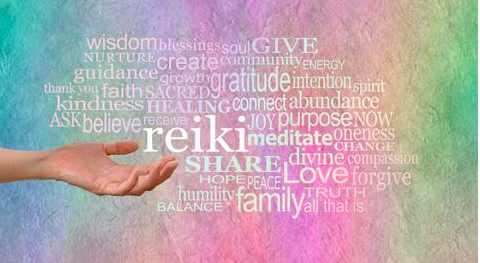 Reiki is made of two Japanese words that translate as “Rei” meaning God’s Wisdom or Higher Power and “Ki” which means Life Force Energy and is pronounced “Ray-Kee”. Gwyneth Paltrow’s lifestyle brand, Goop, has described Reiki as “the popular wellness practice built around the restorative benefits of gentle touch.” Reiki is an ancient healing method where a practitioner manipulates energy flow in the body by either laying their hands on the patient or holding their hands right above the person’s body. A great quote I recently read said, “Scientifically, Reiki is the bio-photon (light) emission conducted from one organic species to another. Reiki balances the recipient’s disturbances in their body’s bio-energy field. As Albert Einstein told us back in the 1920’s, through his equation, everything, including our bodies, is composed of energy.” We are energy. 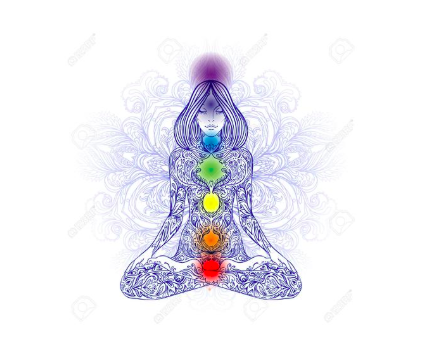 Chakras are energy centers found throughout the body and there are 7 major chakras located from the base of the spine to the crown of the head. Literally meaning Wheel of Life, when one of these wheels gets blocked or unbalanced dis-ease may occur. Reiki energy can help balance your chakras to help create harmony within the body.